Winning a Pulitzer Prize for our current book club novel: Gone With The Wind, her only published novel, she is known by most. Gone With The Wind is on the best-seller list having sold 30 million copies! Born November 8, 1900 in Atlanta Georgia, she grew up hearing stories of the Civil War which laid the ground work for this masterpiece early on in her life. 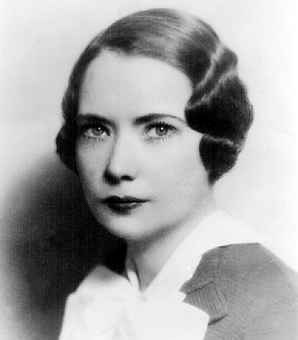 In 1922 she took the next step leading to her literary fame when she began writing for the Atlanta Journal, a very uncommon career for a female in that time. In her short time a the paper (’22-’26) she became their leading feature writer. Believing a husband should support the wife she quit in 1926 to return home and to her fiction when her husband was financially able to support them. 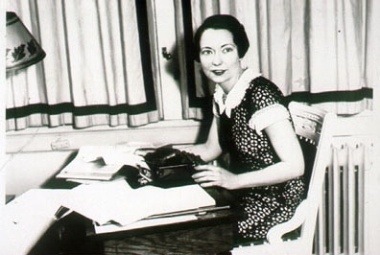 Her fiction was the manuscript that would introduce us to Scarlett and Rhett and the war from the Southern point of view. She worked on her novel for roughly 10 years. A very rough draft was first read by an editor at Macmillian Publishing, Harold Lantham, void of a first chapter, but he new the gem it would become. She, on the other hand, was reluctant to think it would amount to anything, but Lantham promptly sent her a check to encourage her to finish. Her fame grew quickly as the book was published on June 30, 1936, then winning the Pulitzer Prize in 1937 and the movie released in 1939. Mark your calendars and join us at 7:00 Thursday July 28th at Geist Park for a picnic and discussion of this epic novel! Bring a salad to share, your own dishes and your lovely selves! If the past has anything to teach me, the summer goes fast… so I’ll see you all in a few short weeks! !